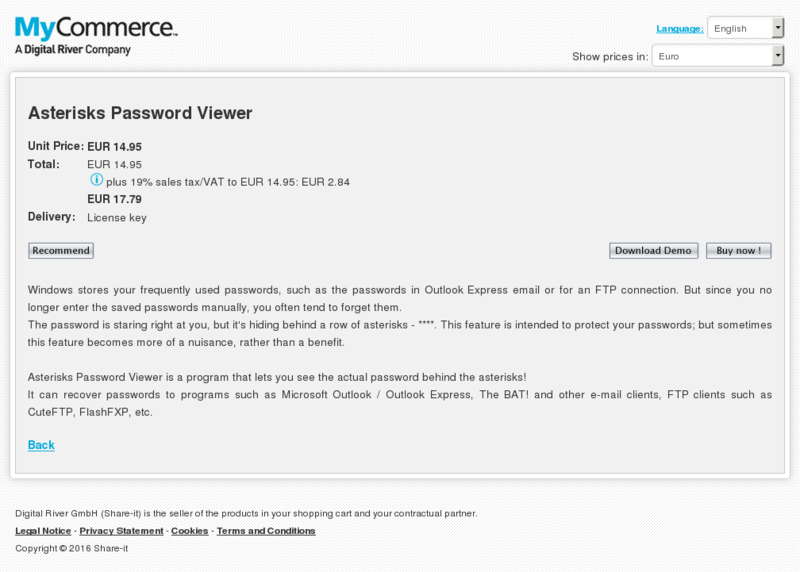 Windows stores your frequently used passwords, such as the passwords in Outlook Express email or for an FTP connection. But since you no longer enter the saved passwords manually, you often tend to forget them. The password is staring right at you, but it’s hiding behind a row of asterisks – ****. This feature is intended to protect your passwords; but sometimes this feature becomes more of a nuisance, rather than a benefit. Asterisks Password Viewer is a program that lets you see the actual password behind the asterisks! 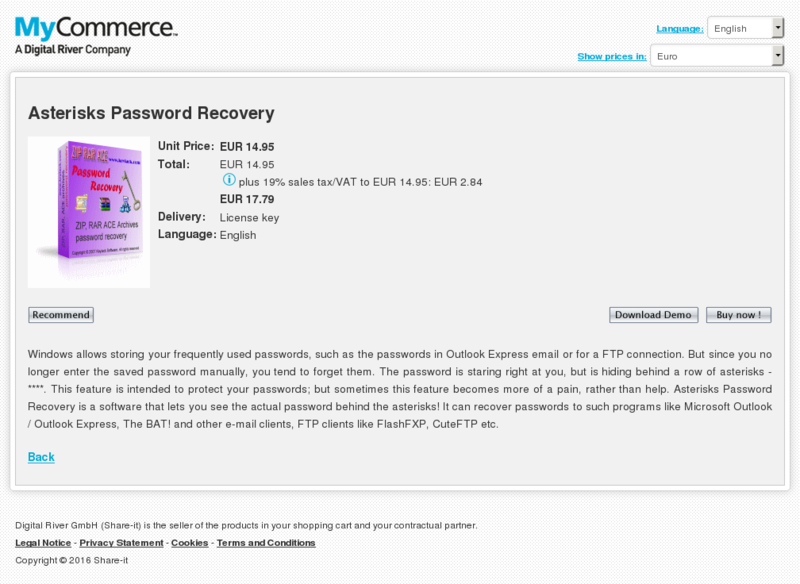 It can recover passwords to programs such as Microsoft Outlook / Outlook Express, The BAT! and other e-mail clients, FTP clients such as CuteFTP, FlashFXP, etc. 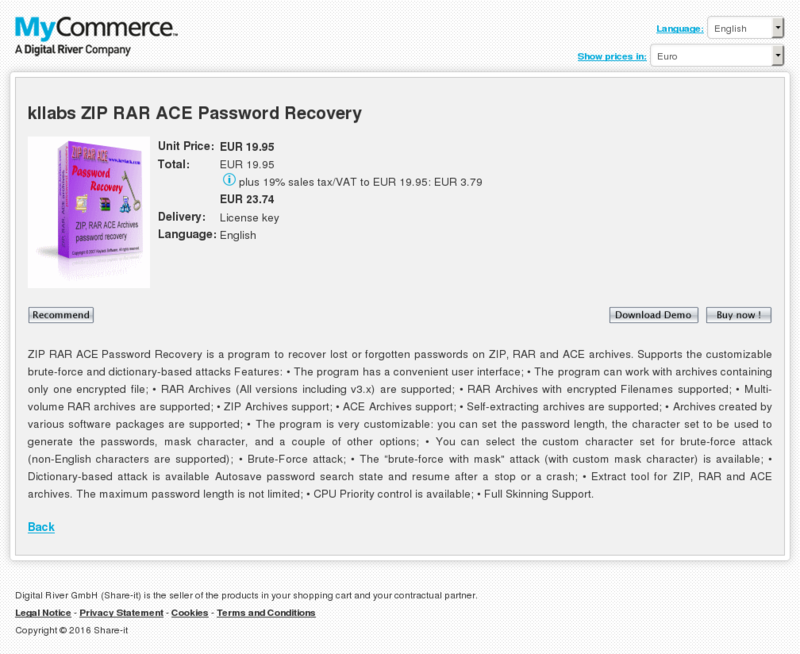 ZIP RAR ACE Password Recovery is a program to recover lost or forgotten passwords on ZIP, RAR and ACE archives. Supports the customizable brute-force and dictionary-based attacks Features: • The program has a convenient user interface; • The program can work with archives containing only one encrypted file; • RAR Archives (All versions including v3.x) are supported; • RAR Archives with encrypted Filenames supported; • Multi-volume RAR archives are supported; • ZIP Archives support; • ACE Archives support; • Self-extracting archives are supported; • Archives created by various software packages are supported; • The program is very customizable: you can set the password length, the character set to be used to generate the passwords, mask character, and a couple of other options; • You can select the custom character set for brute-force attack (non-English characters are supported); • Brute-Force attack; • The “brute-force with mask” attack (with custom mask character) is available; • Dictionary-based attack is available Autosave password search state and resume after a stop or a crash; • Extract tool for ZIP, RAR and ACE archives. The maximum password length is not limited; • CPU Priority control is available; • Full Skinning Support. 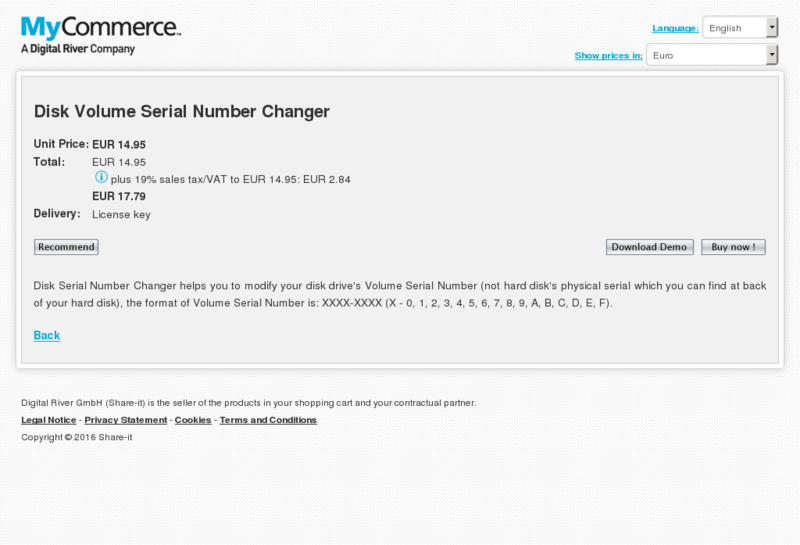 Disk Serial Number Changer helps you to modify your disk drive’s Volume Serial Number (not hard disk’s physical serial which you can find at back of your hard disk), the format of Volume Serial Number is: XXXX-XXXX (X – 0, 1, 2, 3, 4, 5, 6, 7, 8, 9, A, B, C, D, E, F). Silent Keylogger allows you to find out what other users do on your computer in your absence. Silent Keylogger invisibly records every user activity performed on the computer in 256 bit AES encrypted log files with option to send the details to your e-mail address, FTP server or LAN path. This advanced monitoring tool automatically records all typed keystrokes, emails conversations, chats, website visited, password, used applications and captures screenshots. This surveillance tool is extremely easy to use for home and office users. 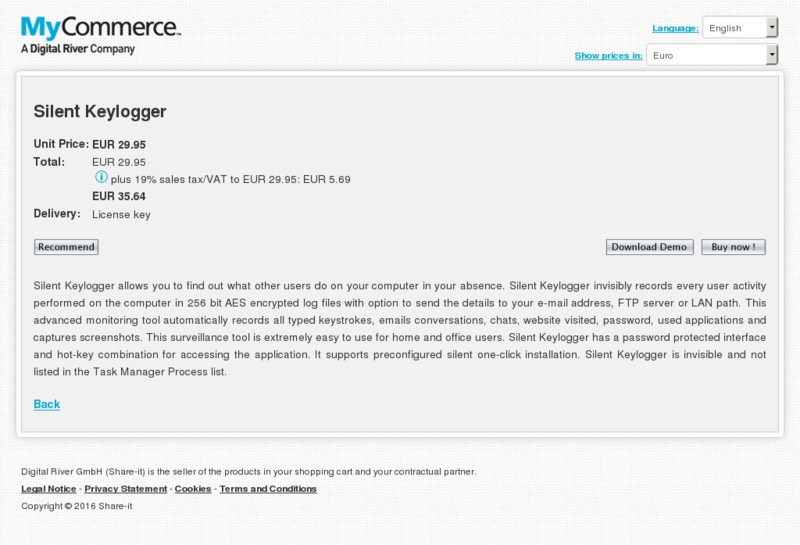 Silent Keylogger has a password protected interface and hot-key combination for accessing the application. It supports preconfigured silent one-click installation. Silent Keylogger is invisible and not listed in the Task Manager Process list. Windows allows storing your frequently used passwords, such as the passwords in Outlook Express email or for a FTP connection. But since you no longer enter the saved password manually, you tend to forget them. The password is staring right at you, but is hiding behind a row of asterisks – ****. This feature is intended to protect your passwords; but sometimes this feature becomes more of a pain, rather than help. Asterisks Password Recovery is a software that lets you see the actual password behind the asterisks! It can recover passwords to such programs like Microsoft Outlook / Outlook Express, The BAT! and other e-mail clients, FTP clients like FlashFXP, CuteFTP etc.